Happy World Whisky Wednesday everyone! The next few weeks are something special; my good mate Whiskey Nut (@2DramsofWhiskey) recently sent me three blind samples of whiskey, labelled A, B and C. Over the course of a few days I did blind tastings of the lot, and will be giving a damn honest opinion of each of what I had (Spoilers, one of the whiskies was awful). After I was finished I sent him a message, and he revealed the whiskies to me. Sample A was none other than the McDowell’s No.1 Reserve Whisky. On our nose, I was took my time. At first there were notes of lead paint and pastels, underlying hints of glue and sweet sulphur alongside boiling cabbage and copper. Earthy dirt, dust, a moulding fallen tree, as well as some sweeter cooking onions leading into grass and hay. It wasn’t a great nose, but I was willing to give the whisky some more time, and it got a bit sweeter, with artificial sugar coming through the longer it sat in the glass. While the start of the palate is quite acetonal, the palate continues the artificial trend, but has a firm woody background that allows us to over see these treats; caramel cubes, raspberry bonbons, lemonade jelly beans and a distinct hint of E150 dropped lightly over everything. I kept thinking to myself that it was artificial, but that wasn’t a bad taste to my surprise. It kept up with a merry smile, and was quite pleasing. The finish is long, quite sweet, and gains clarity with fresh mown grass and caster sugar over candied dandelion. It’s a mixing whisky, no doubt, the sharp start is a bit confusing to the palate, but the finish is delectable and what we’re there for. It funny these preconceptions you have about whisky. If given the chance to try the McDowell’s, I would have, but I would’ve gone in with raised eyebrows and a narrow mind. Having the chance to try it blind really did help me see some different things about the whisky, and to be honest its not bad at all. In recent weeks and months I’ve had much poorer whiskies from more well established Distilleries and countries. Well worth a try if you ever see it around. On another note, should you get the opportunity to share some drams of whisky with friends, why not try the way @2DramsofWhiskey has done it? I do love a blind tasting, and look forward to my next chance to this again. @2DramsofWhiskey, I’m raising my glass tonight to you. It always amazes me the different interpretations people have of the same drink. 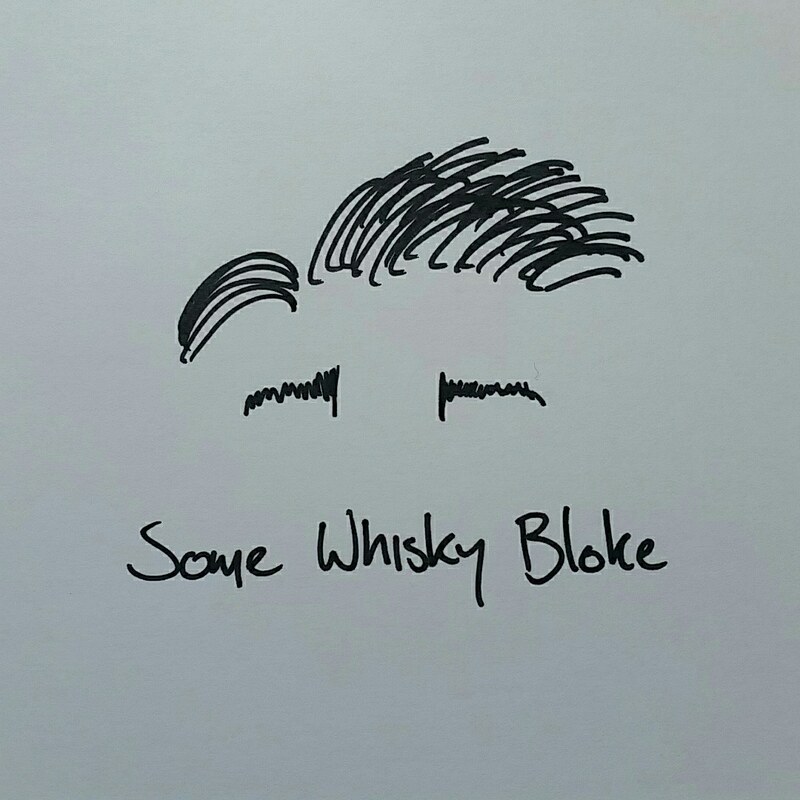 I found this a rather bland yet easy drinking whisky – even with that slight chemically note. Certainly not as sweet or robust as some of the other Indian whiskies I’ve had. Glad you enjoyed the blind challenge. I got a bottle of this at home. I’m sure I was biased from the beginning, but I really cannot say a lotta good things about it. I found it very alcoholic, aggressive and somehow synthetic. Would be interesting to learn how my perception would change if I drank it again in s blind tasting. I think its fair to try alot of things blind, get rid of that misconception you might have about the whisky. What are you drinking at the moment Tobi? I’m always drinking a lot of whiskies higgledy-piggledy. One dram today, another dram tomorrow. Around Burns Night, I was having various Timorous Beastie expressions, for example. Earlier I met with a friend who put Ardbeg Uigeadail and Corryvreckan to the table. Currently, there’s Hanse Spirit whisky fair happening here in town, so I’m trying out many different whiskies. Yesterday, I got to sip the new Dream To Dram by Kingsbarns Distillery from the Lowlands, which left a bit impression on me.